benchdonkees: An amazing ink drawing from a 1927 advert in The Motorcycle, stolen from the Vintagent's twitter feed. It could be Claude Temple on the OEC Anzani when he raised the world speed record to 121mph in 1923. 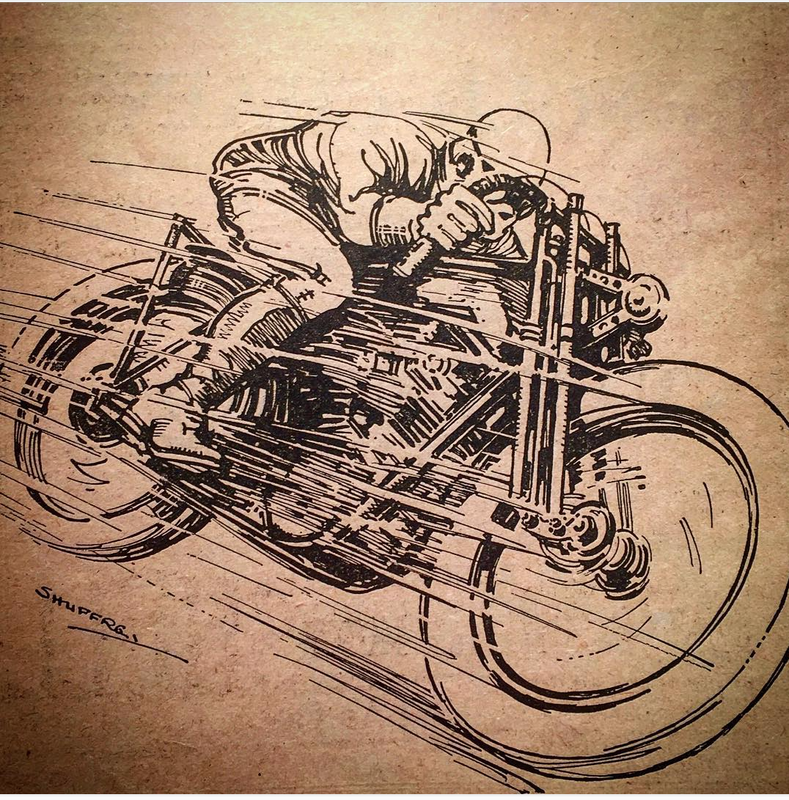 An amazing ink drawing from a 1927 advert in The Motorcycle, stolen from the Vintagent's twitter feed. It could be Claude Temple on the OEC Anzani when he raised the world speed record to 121mph in 1923.